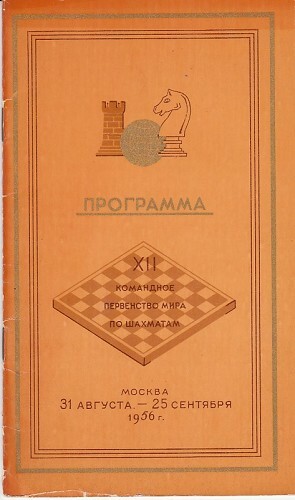 XII Chess Olympics, Moscow 1956. 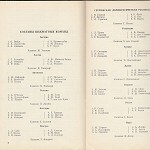 Tournament program. 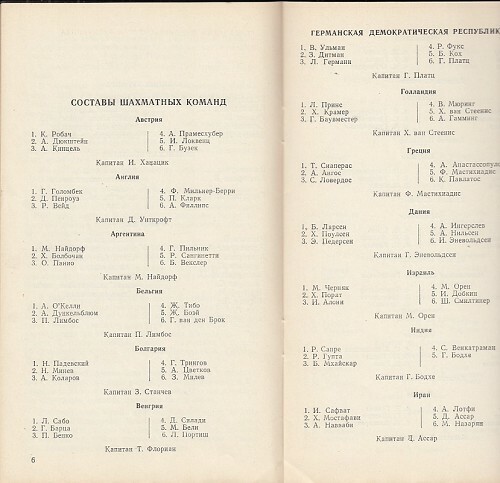 Played in Moscow 1956. 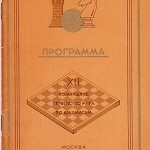 Tournament program. List of teams and participants. 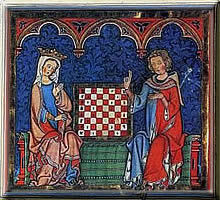 Cross tables. 24 pages + Cover. Stapled.